There is no rule that says winter hats must be beanies and ski masks. 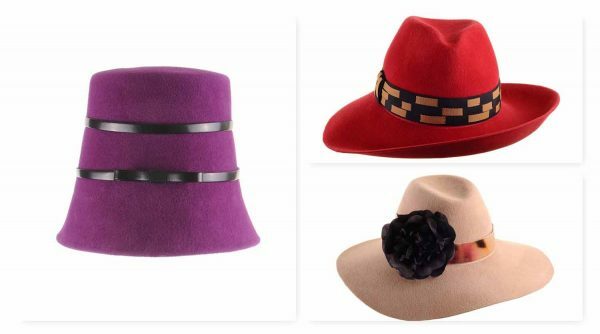 The colorful and more elaborately shaped spring hats can do their stint in the cold without batting the proverbial eyelashes! Take the Benedikte Large Red 1970s Felt Fedora With Tan Ribbon from Genevieve Rose Atelier. 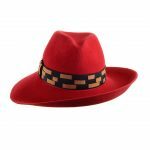 You can channel your inner 1970s Gucci cool with this retro-style red fedora hat. Hand blocked in lush red velour felt, this wide-brimmed fedora features a tan and black woven grosgrain ribbon trim and upturned brim. This hat can be custom made in other colors to order. Fits a 23-inch head. Handmade in New York. Ready to ship in 3 days. 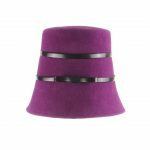 The Audrey Hepburn-inspired Molly Vintage Retro Felt Cloche with Leather Ribbons is hand-made in cosy plum velour felt and trimmed with dainty leather bows. Approximately 7 inches tall. Shown in plum velour felt, this cloche can be made in other colors to order. You will love it in leopard print felt! Fits a 22-23-inch head. Handmade in New York and ready to ship in 2 days. And if you are truly feeling the winter blues, try the Margaret Large Camel Felt Floppy Fedora, the 1970s retro winter goddess. 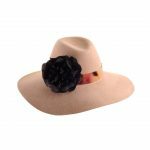 This wide brimmed floppy fedora is hand-blocked in lovely, cozy camel fur felt and trimmed with a band of vintage dip-dyed velvet ribbon and a lush hand-made flower in chocolate silk. 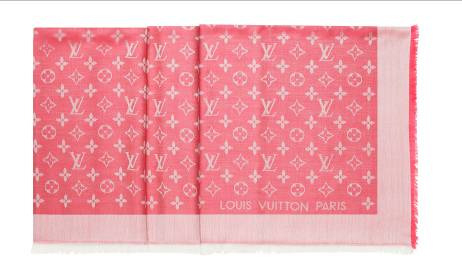 Sure to brighten up any black or grey winter coat. 4.25-inch wide floppy brim. Shown in camel fur felt, this fedora can be custom made in other colors to order. Fits a 22.5-inch head. Handmade in New York and ready to ship in 3 days.